What Does It Mean When a Fax Machine Says No Answer? Sometimes, when you’re trying to connect to another fax machine, you a get a “no answer” message from your device. Like most people, you might be wondering what this means. We’ll tell you why it occurs and how to remedy the problem. What Does a Fax “No Answer” Alert Mean? In layman’s language, it means that the receiving fax machine may not be available, or the connection between the two machines has failed. In some cases, your fax machine may not have received a signal from the other fax machine, hence the “no answer” error. Other times, the receiving fax machine may fail to notify you when a message has been sent. In sharing information, fax machines represent a very convenient way for transmitting messages. A destination fax number and machine are required when sending a fax. Although some fax machines require you to answer, most are set up to do this automatically. Clarity in the line that is being used for communication purposes is very important, as it ensures that the fax message is properly transmitted. 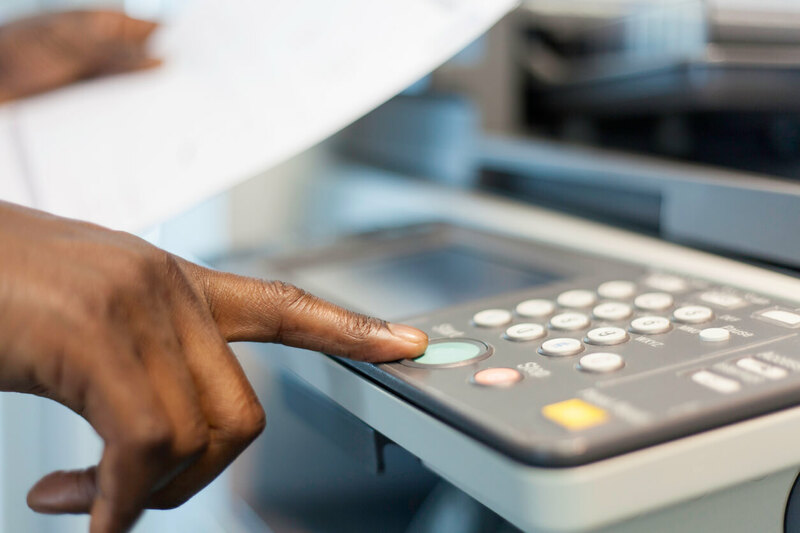 If your fax line and the telephone line are the same, this can cause some minor inconveniences – notably if someone is on the phone when you’re trying to send a fax. In that case, your fax will likely get a “no answer” error message. It can be very frustrating to get a “no answer” response. Especially when you’re trying to send an urgent fax. Here are some troubleshooting tips below. Sometimes, your fax machine could be the problem. To easily test your fax machine, try to send a test fax to a number that you know works. Ask a friend, or co-worker for example if you can send a test. If that goes through, then the problem is not your fax. However, if it doesn’t go through, make sure that the telephone line is plugged into the right jack and that the dial tone is available on your machine. In most cases, the error message comes from dialing the wrong number. Thus, you must always double check to see that the number you are faxing is the right one. If dialing an international fax call, you may find that the dialing sequence is not usually the same in different localities. Though most international numbers have an instruction that assists you while making a call, it is always important to certify that you are dialing the correct sequence. In addition, you must confirm that you are dialing all the numbers that are required to access the call. Naturally, you can also call the person you want to send the fax to to double-check the number. The best connection of a fax line is the one that is clear with no noise and doesn’t have static. If the line you are faxing has static or has any interruption, then you will have problems sending a fax – more so if it has many pages. Complex visuals in a fax also require a clear fax line to allow proper messaging. Phone lines known as Voice over Internet Protocol (also voice over IP, VoIP or IP telephony) are known to have a bad working reputation with fax, as many of them are incompatible with fax machines. Allow your fax machine to redial if the other number is busy. Fax machines will automatically retry calls in case the receiving end fails to answer. It is easy to adjust the number of times the machine redials by just checking your machine. Furthermore, there are some fax machines that have the ability to store outgoing documents in their memory, in case of the failure of sending to the target phone number. Just check your fax machine guide to see if this is offered. The “no answer” error message that we get while faxing can be frustrating, mostly if you don’t know what is causing it. With the convenience that comes with faxing, it is a relief to know that there are several reliable solutions.